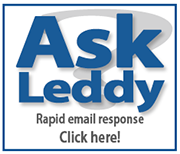 Leddy Library Research Question Competition 2016 is here! Welcome to the 2016 Leddy Library Research Question Competition! Is there something you're curious about? Do you have an interesting, engaging or even amusing research question? If so submit it to the Leddy Library Research Question Competition for a chance to win one of three 50$ prizes! Submissions are open from September 12th - 30th. Hit submit on under author corner and follow the instructions. Enter your name, UWindsor email address, and your research question. Hit submit, and you're done! It's that simple - nothing more is required. What happens after I submit? In October, the top questions will be selected and posted in various locations around campus. In addition, the University of Windsor community will vote for their favourite of those top questions. 50$ Prizes will be awarded to the question receiving the most votes, a randomly selected question, and one randomly selected voter.! The Research competition is a precursor to the 2017 UWill Discover! Undergraduate Research Conference. Keep an eye out for more information about UWill Discover 2017.